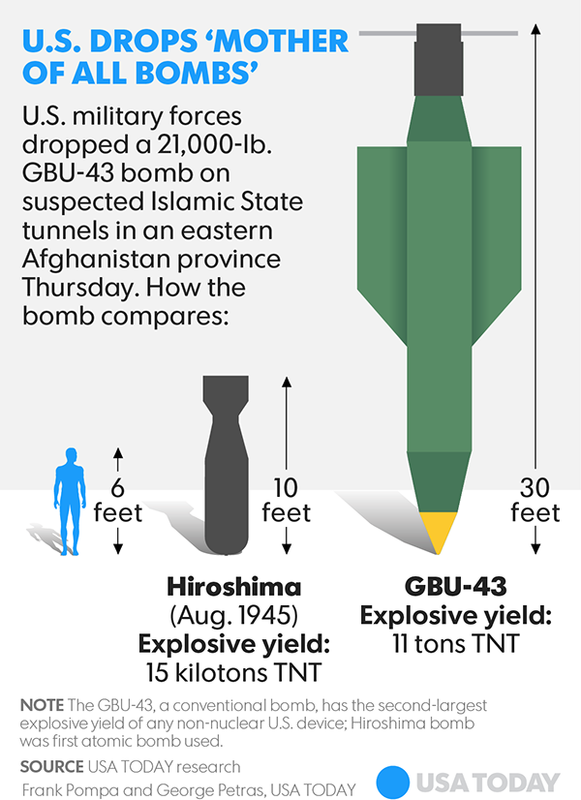 So what did the midget thumbed little Caesar actually accomplish with his big bomb on ISIS. On first glance, based on size, this looks really bad, because in Trumpworld, size matters. 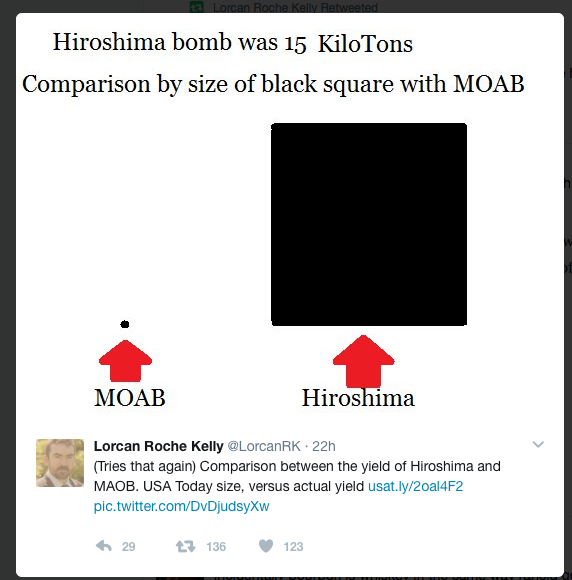 But what’s the actual explosive yield? The bomb Trump just dropped on Afghanistan cost $314 million. So there you have it. As with everything the annoying orange does, there are performance issues. Why doesn’t he just buy a new Maserati, like all of the other insecure tiny tooled rich guys? This entry was posted in Art, defense spending, GOP, Stupid people, Terrorism by brobrubel. Bookmark the permalink.